new dimension in intelligent, interactive television performance." The FM Towns Marty was released in 1991 by Fujitsu. 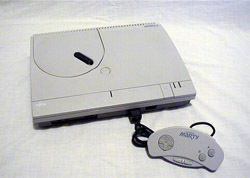 It's based on the original FM Towns computer made by Fujitsu. It is compatible with almost every FM Towns game ever released. Photo and information by Aaron Mims.